High potency: 500mg of 98% extract of wild Polygonum cuspidatum. ;Only 500mg resveratrol approved in 2010 Consumer Labs evaluation. 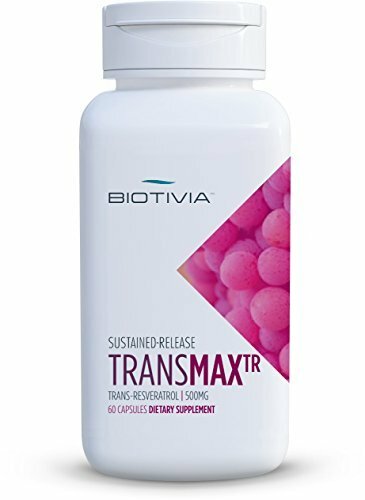 ;Transmax contains no animal products. Comes in vegetarian capsules. ;Bottle filled with inert nitrogen gas to preserve freshness and efficacy. ;12 hour time release for sustained resveratrol bioavailability.